Harmony is a rare Willpower action card. It is part of the FrostSpark Collection. 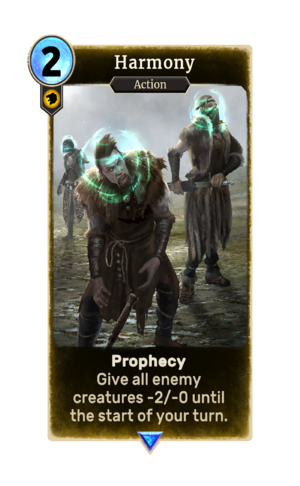 The card is named for and depicts Skyrim's Harmony spell. This page was last modified on 20 February 2019, at 15:34.